Gold is rising more than it has for the past few years despite good economic indicators that usually cause the asset to fall. Naturally, it is climbing increasingly from $1208 in July 2017 to a price of $1362 on 25th January 2018; hence, making a 12.7% rise. Here are various reasons influencing a high value of gold in the market today. Naturally, gold appreciates higher government debts since it means that the state will have to print more money to pay off the loans and pay for goods and services. As a result, there will be a rise in inflation which will motivate most investors to turn to bullion as security, because the assets are not affected by the change in the value of currencies. Additionally, the rise in the debt of a state will undermine the confidence in such an economy due worries about whether the government will make the repayments. For instance, according to the US Treasury Department, the current federal debt since 1790 is $20,493,401,574,964.07, and the situation is worsening every day. Therefore, the government will seek more precious metals, such as gold, to settle the loans. One of the primary drivers of gold in 2017 was negative real interest rates, which occurs when inflation rates minus interest rates drop below zero. For instance, the US Funds rate in April 2017 was -0.45%, 0.4% in July, -0.6% in January 2018, and is now at -0.45% in April 2018. Therefore, most investors are turning to gold assets because inflation is squeezing government bond’s yields, which typically sell off at high inflation rates. 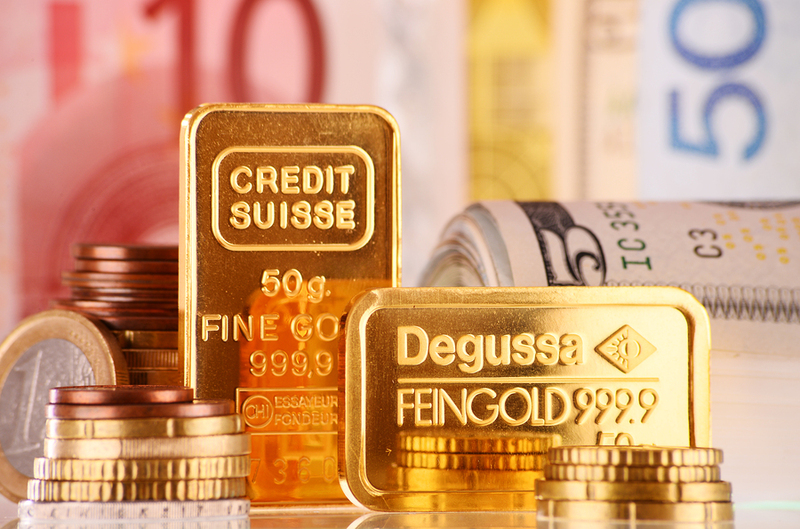 Typically, central banks usually buy gold as a store of value and purchase hard currencies such as the US dollar, which is a value price for most products, view the most common gold investment products on this page. For example, Russian central bank overtook China’s gold hoard, with the nations acquiring close gold tonnages, at 1,843 for the People’s Bank of China versus 1,857 for the Bank of Russia. According to Bloomberg, Russia is increasingly holding more gold monthly since March 2016, but China last reported purchasing gold in October 2016. Another critical drive to the rise in the value of gold is its high demand as global investors are turning to buying stocks instead of assets and bullion with low growth potential. Typically, from 2016, the need for gold jewellery raised by 4%. For latest prices click here. Additionally, according to the World Gold Council (WGC), China was the lead in the demand for physical gold bars and coins, and the country purchased 306.4 tonnes in 2017, which was an 8% increase from the previous year. However, Lawrie Williams, a Pixley analyst argued that the consumption of the precious metal by the Chinese is 50% higher the figures released by the WGC. He said that imports from Hong Kong were totaling to 628.2 tonnes, and those from Switzerland were around 299 tonnes. Another factor supporting the gold right is that investors are amassing into gold ETFs. For instance, in December last year, the SPDR Gold Trust ETF rose for 11 days without falling; hence, indicating a high boarding to the gold industry by most traders.